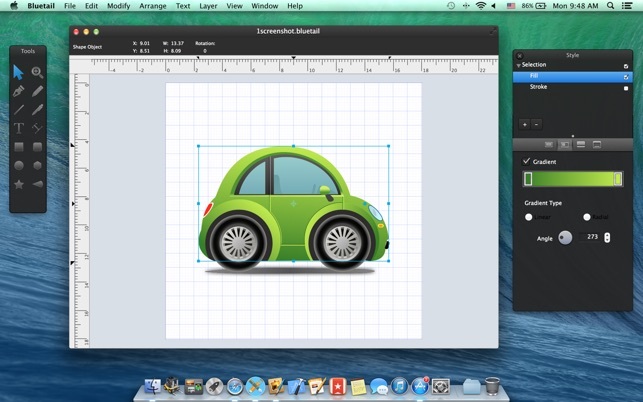 Bluetail is a beautifully designed easy to use vector drawing application to help you create inspiring vector graphics. 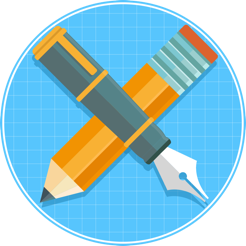 Bluetail has all tools, giving you power that let you draw any kind of shapes, technical illustrations and beautiful art. 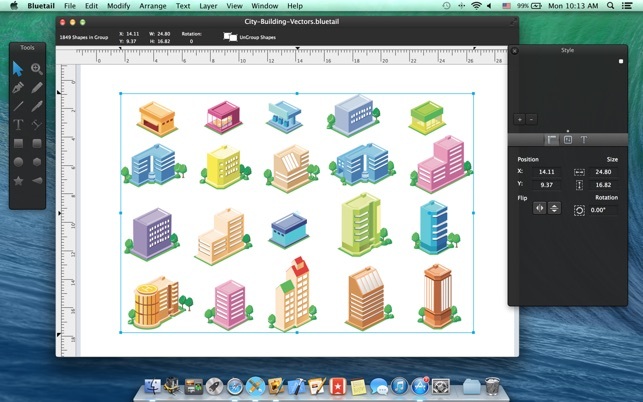 - Export designs as Vector PDF, PNG, JPEG and TIFF files. 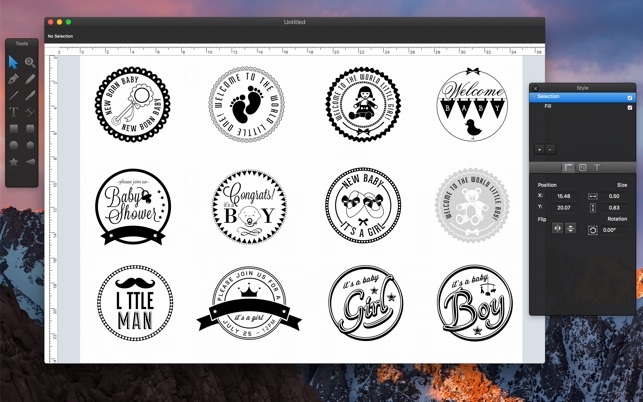 - Export Designs as Vector SVG file. 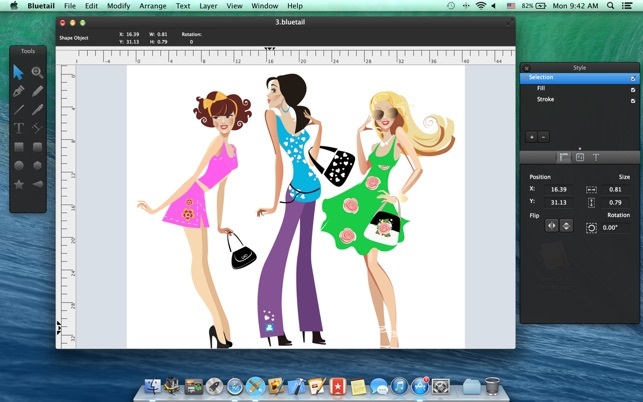 - Import CorelDRAW (cdr) files. - Bezier Pen Tool for creating custom shapes. - Pencil Tool for free drawing and sketching. - Custom Shape Tools: Polygon, Star, Arc. - Boolean operations to combine simple shapes into complex shapes. - Path selection and editing. - Fill and Stroke feature: Shapes can have unlimited fills and strokes. - Shadows: fill and stroke shadow give your ideas even better look. - Copy and Paste Style. - Apply multiple strokes, fills, and shadows to any object. - Arrange the order of fills, strokes using drag and drops. 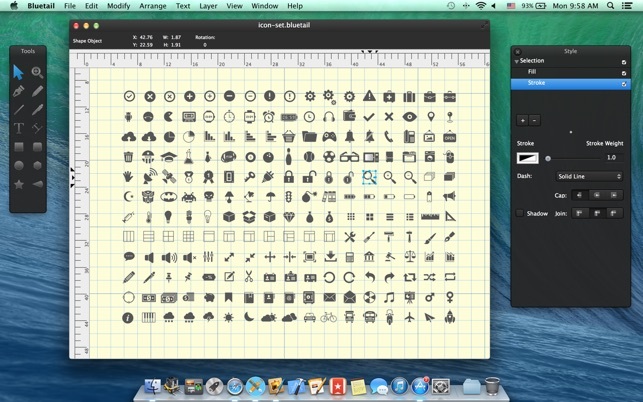 - Simple and powerful interface, built for OS X. - 64 - bit native. - Optimized for Retina and non-retina displays. - Lock, Unlock shapes and layers. - Rulers - pixels, inches, millimeters, centimeters. - Align and Distribute objects. - Linear and Radial Gradients. - Convert Text to Paths. We would love to hear from you. If you have any problems, please let us know. Sample files are available on our site.